Q: I mean this in the most respectful of ways but, when I listen to six string bassists who play a lot of chords and solo. I can’t help but wonder why they don’t just play guitar. A: I’ve heard this question before, and thanks for being respectful. I’m a 6-string player, so I’ll share my views on the subject. Many of us who progressed into playing chords and soloing started on the bass, not the guitar. So that’s our instrument, that’s where our comfort zone is, and that’s where we love to play. I primarily use chords and soloing in the beginning as a means of practicing harmonic concepts in a new way. I was simply trying to expand my vocabulary on the instrument. The shift to a 6-string while I was in college made it simply more fun to do that stuff, so I got really into it. 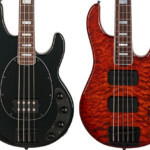 Fundamentally, the approach to music as a bassist shouldn’t be a question of whether it suits a guitar better or not. I have all of my students work chord shapes in every inversion over jazz changes, even if they don’t aspire to be a jazz bassist. It’s just a great way to expand your ability to see the notes on the fretboard. That, in conjunction with solo concepts and explorations, can really expand your harmonic concept and, hence, add to your bass lines, as well as your soloing. Learning chords, voice-leading and different ways of navigating changes can really help you see how different chords relate to each other, and helps one to not treat each chord as a new tonality but, rather, a variation of the current tonality. The real key is taste and moderation, which is, admittedly, where some folks get tripped up when playing a 6-string bass. When I’m playing bass, I’m playing bass. I’d argue that you have to resist the urge to throw chords over everything and jump up high and get “notey” just because you can. Exploring these things helps one to grow musically, but you also have to develop the maturity to use none of it when it’s not called for. I’ve said this before but I take it as a point of pride when I’m recording a bass track and the producer or engineer have no idea that I can do the other stuff until they hear me noodling on my own, or something like that. When I’m playing bass, I want to be the best bass player I can be. I also do a lot of jazz gigs, and that setting demands that I have to take a solo. When I solo, I want to solo like a horn player or guitarist, not a (root oriented) bassist. That can only happen if you’ve spend a lot of time exploring the soloing process, melody and so on. I know this can be a hot button issue, and I welcome your comments here. 6 string basses are too damn big. I don’t know where we got all these mutants with giant hands that can play them. What’s really ridiculous is the bass string-count arms race. Every time I see some post or video involving some 11-string monstrosity I start feeling stabby. I have tiny hands and i play a 6 string bass and also a 10 string bass. Everytime i hear people complaining “it’s not a bass it’s too big! What’s that ironing board? !” I start getting the urge to hit people. As stated below there are no rules to music. I prefer the feel of the neck on my 6 string to every 4 or 5 i’ve played though i still play the 4 string just as much as the 6 or 10. I don’t get why people assume a 6 string bass equates to high notes. It adds chromatically 5 more notes. 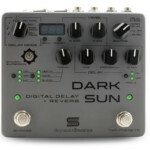 I use it to help voice chords, and for harmonics not avalible on a 4 or 5 string. That’s assuming people use it tuned in standard as well! But like English, many can be broken, but to say there isnt any is ignorant. if your small hands can play them or not. is another story) on such a large neck with tiny hands. Tom, there aren’t any rules to English or music. However there are things that people agree on. For example: I can say “ain’t nobody able to play on no iron board” when a socially correct sentence would be “nobody can play on an iron board”. In music, specifically bass, you would think that if there were a B7 alt chord leading to an E7 chord that the bass would walk on the notes B Cx (double sharp because altered 9) F# and to a leading tone to E because that is “in theory” correct when you could literally go up half steps until you get to the root and it would have the same effect. It’s not about the process, it’s usually just about getting there. And another thing, yes it does look like an iron board, but like every instrument there is a technique to it and he could be the best out there small hands or not. um…upright players do the same thing when they bring their arm around to fret higher notes…people probably thought the P-bass looked like a baseball bat when it first came out. Mind you – Les Claypool, Anthony Jackson, Steve Bailey et al absolutely tear six strings to pieces…whatever works, who are we to judge? The issue at that point with super-low strings is “will the amp I use be able to produce that frequency” and most amps that I’m aware of don’t really go below a B-string’s 31 Hz (at that point you barely hear the fundamental). Honestly, though….who gives a flying f–k what a player plays? Just play music and shut up, and support your fellow bassists out there whether they play a 1-string washtub bass or 18-string bass. These debates about “picks vs. fingers” or “4-string basses vs. multi-string basses” are so childish. Kalium Strings make equal tension strings. A low F# is no issue anymore. Damian Erskine great article! I’m the same, 17mm is my prefered anywider and i can’t cope haha! And Centipede, i may have came off a little aggresive which wasn’t my intent! So sorry about that! The more strings for the sake of it like “I like tapping thus i need 10 strings” or “my band is prog/technical so i need 12 strings!” Gets a little old especially when it’s not used to its potential or purpose! Damian Erskine oh man, don’t tempt me. next thing i know i’ll be having to buy special speakers and everything. My mom tried to send you this article, but couldn’t find your name. Speaking of “comfort zones,” I’ve been playing bass on and off for over 10 years. It’s my home. But I’ve starting getting into chords, writing lead riffs and even soloing a little. I’m getting a lot of grief and “suggestions” to play guitar. How do you feel about a bassist trapped in a guitarist’s body or vice-versa? FWIW I started out on bass but was also very into composition so I learned a lot of theory as well… then played mostly guitar for several years before sort of “rediscovering” the bass and realizing that it’s what I like best. I don’t think the fact that you know chords makes you a guitarist, “trapped in a bassist’s body” or otherwise. I often tell people I play a guitar–a bass guitar. To me, this is no different than a saxophone player choosing between a tenor, alto, or bass saxophone, or a flautist choosing among the many different kinds of flutes. It’s all about finding the instrument that fits your style and personality. For me, that’s the bass guitar. There’s a recording out there, (and forgive me for not remembering what it is) that features the two great saxophonists Gerry Mulligan and Stan Getz. 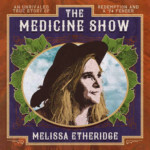 There is something oddly wrong with it, when you first listen, but after you figure out the “problem” then listen more, there is a unique beauty to it. The problem is that Gerry is playing Tenor and Stan is playing Baritone…. the exact opposite of what they are most commonly associated with. 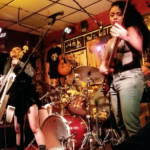 There are no real rules about how to play an instrument but there are rules, vocabulary and accepted truths that go along with being a side musicians. That is it. The rest is up to you. That should be ‘side musician’ not ‘side musicians’. Thankyou Steve your petty grammar correction really added to his insightful and knowledgeable comment, we’d just be lost without you. He’s not allowed to correct himself? In the end, it really is about “Comfort Zone” and getting the most out of your ability within the paradigm of the music that you enjoy playing. Damian’s assertion that practising chords and melody helps foster deeper understanding of how harmony works, is spot on. You don’t really “need” a six-string to do that, but it sure doesn’t hurt. 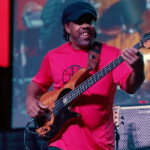 I would ask Mr. Gasaway, if during the course of playing he ever feels that he has left behind the fundamental role of bass, or felt like he needed to play guitar in order to play what he was wanting too? If no, then you are likely still a bassist trapped in a bassists body. 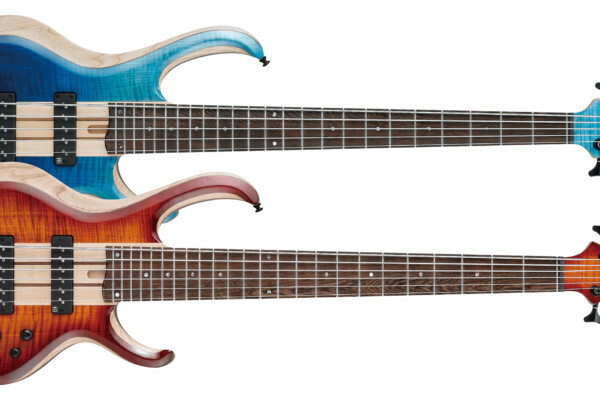 While, I am amused by the “Bass String count arms race” comment…. my only thought is that you can now get basses from 1 to 12 strings….. as long as you’re playing Bass, where is it written how many strings is the right number? I personally like 5, but that’s me. My only beef with the ERB videos is that few if not none of the practitionaries of the these beasts seem to utilize all the the strings… all well and good to have them… if you are using them… otherwise its just masturbation. But then that would apply to any number of strings wouldn’t it? What about a 300 key piano built for the Sheik of Dubai? All of this information is true. But I see the answer to the constant debate as much more straight forward… the simple truth is why shouldn’t you play things on a bass? Some of the most influential musicians are those who take their instruments to new levels and explorer limitations. Gaining new sounds from a bass will inspire you to play in different ways… this applies to all instruments; Tom Morello famously plays his guitar much like a DJ in some respects, but should he be limited to simply being ‘a guitarist’ – of course not. Any instrument should never have restrictions, the potential always lies within your ability to push the boundaries as an artist. Very well said,Matt!—Ive been playing for 36 yrs. Started on guitar at 12,and started on the bass at 30- I am a percussionist who plays a stringed instrument!! !—My main bass is a custom 7-string, and my primary plucking tech. is the plectrum-(80% pick-20% fingers) but I also use all types of picks rubber-felt-no hard pick smaller than 2mm.I have my own tone and style. I also have a 5-string fretless Jazz copy(75)-heck I like playing with my thumb-(picking not slapping)Its all in the beat pattern—some styles of music are have little movement-(rock)-but Latin Fusion has a far greater potential,for accenting and melodic lines. To me a bass is just 4 strings and 21 frets. The power of the instrument is primarily coming from these strong constraints. All my reference players are 4 strings players (Pasto, Linley Marthe, Hellborg, Wooten, Miller…). 6 strings players clearly have a different approach, more on complex chords and scales, less groovy in general (Hadrien Feraud style for instance). It is nice too, but it is different. In fact, “6 strings low frequency instruments” should have a different name, they are not basses, they are a different beast, like a low guitar… It is not a question of judging or comparing, I think the nature of the instrument changes the approach. What is nice is that we have different instruments for different styles. The groove is totally important. I think that’s where people get a problem with complex chording or soloing is that that emphasis comes usually at the expense of emphasis on the groove. In rock, metal, jazz, blues, etc groups, the bass’s role is both tonal and rhythmic to a greater extent than the guitar usually is, one of the things I love about bass is how it bridges those worlds. Also because it seems like it’s the bassists that jam in maximum notes and/or are heavy on chords but at the expense of the groove get salivated over for their supposed skills whereas some see this kind of playing/showmanship as lacking to some degree in taste or substance or soul or whatever: this is music, not athletics. Interestingly, upright jazz purists wouldn’t consider even a P-Bass a real bass either. It’s all in the perspective, I guess. The earliest Fenders were railed against by upright players who hated them even being considered basses. My dad, for instance completely resented having to bring his Fender on the road with the Stan Kenton orchestra along with his upright. Centipede Farmer I cannot say it better than you. Damian Erskine Yes, exactly! As electric basses are not upright basses, you don’t play them the same way, 6 strings basses are not electric basses basses, they are something different (I mean, not worse). Centipede Farmer true. It’s important to note the difference between players who get salivated over on YOUTUBE and the ones who actually get a lot of work in bands and studios! often, not the same guys… ;) You’re completely right… without the groove, all that other stuff doesn’t amount to anything and the careers are typically short lived or exist within a very certain and small bubble. Centipede Farmer eek! yeah, hard to believe folks do and did fly with them! I’m getting an electric upright next year actually. Couldn’t imagine flying with the big coffin case! Damian Erskine , on the other end of the spectrum. Here’s a video from a local rock band in my hometown. Wait for it….. then check out the size of the “Beast” holding down the bass in this band…. http://youtu.be/wOqcmR3-g14 it makes me laugh, but it makes a good point about just what a bass is. I doubt one could play it, in a typical bass manner…… no an acoustic bass is not an electric, nor is this thing a typical bass either. An acoustic bass guitar is not a electric either…. but who is going to play them? There’s has always been a reason why guys like Christian McBride and John Patittucci exist….. I would argue because they refuse to except the limitation of one instrument and play both Acoustic and Electric (Fretted or otherwise) for the pure pleasure of pushing their own limitations. I don’t think the limitations are in the instrument. Playing bass is all about self-expression – if the six-string is your vehicle, power to you! hhmmm…music is art. true art has no restrictions. you use the tools available to you and explore accordingly. its about self expression as much as it is about the “role” of the instrument. if everyone stayed in the box, nothing new would ever be created and the world of music would be stale and dull. 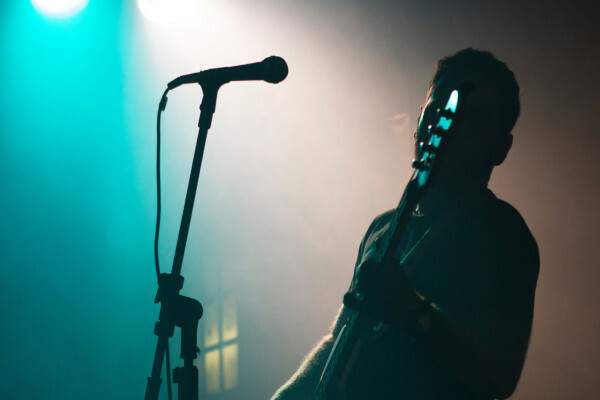 your role within your band is different for every musician and instrument, and every combination thereof. the moment you have “decided” the role you and your instrument are to play, you have stopped thinking and growing. always keep the tune/song in the forefront of your mind and play to support the overall idea, support the musicians youre playing with, never lose track of the greater goal. play from your heart and all else will follow. remember, youre not playing bass, or guitar, or sax. youre playing music. its not the brush the artist holds, but the end result on the canvas. Beautiful. And you are one amazing musician. I think you do your instrument justice as well! The 6 string sounds beautiful in its own way and although it has that high C string, it still sounds like a bass. The guys that play piccolo bass, those are the ones that need to switch to guitar. I couldn’t listen to Brian Bromberg when he was doing all that distorted piccolo music he once did. It got boring kind of like listening to Malmsteen shredding all night. Look at Michael Manring? He is plays in all these weird tunings yet it still sounds like a bass and even a cello at times. That’s cool. If you found Brian Bromberg boring on piccolo bass, you would probably also find him boring noodling away on guitar. I’m pretty sure I would. I don’t personally have an issue with what people play as long as they recognize that somebody needs to play the crucial lowest notes, and if all that entails is someone hitting an occasional half-hearted open string then the music will more often than not sound lacking. Zander Zon generally does an ok job of not completely neglecting the bassline, and he uses a piccolo bass. I also can’t really see how switching to guitar would benefit him. There is a time for soloing and a time for playing in the pocket. I have the most respect for a bassist who plays melodic or aggressive when soloing. The six string bass is awsome because there is no limits on what you can do. I am learning to play the six string bass to expand my thinking to another level. I’ve definitely been thinking about 6-strings lately. I primarily play 5-strings – it’s what I started on – so the concept of transitioning to a 6-string bass isn’t a huge stretch for me. But I see it like this: if all you feel that you need is 4 strings, then get a 4-string. If the music you’re making requires you to be a little more adventurous, then consider an extended-range bass. 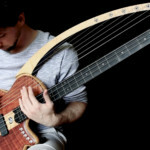 Most music today doesn’t really require more than 4 strings on the bass, but that doesn’t mean that you have to conform. 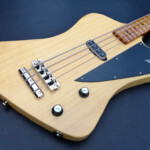 Most of the music I play (blues-rock and funk) could be easily played on my 4-string T-Bird. But my 5-string gets most of the action because I just like the lower B. And I think that a high C could be very useful. weather 4,6 or 10 strings, the bass is not a guitar. It has it’s own unique sound, a harmonic richness that is completely its own. having 6 strings does not make a bass into a guitar. It’s not about how people usually use it or what it sounds like. It was made to be played like a guitar in many respects, ergo it is a guitar. It is a very special kind of guitar with its own place in many ensembles, and some use it better than others (all of that is subject to opinion though), and nearly everything you can do on a guitar you can do on a bass (the only obstacle being its size – I have tiny hands and some problems with it sometimes), therefore it is a guitar. I think I see what you’re saying, it’s just that the term “guitar” doesn’t refer to just one instrument. Would a one-string guitar no longer be a guitar just because it had only one string? Or maybe it was tuned too high or too low? Guitar is a word that does not indicate pitch – we simply understand what it usually means when we hear it. The reality, however, is that there are many more guitars than the standard E-to-E 6-string guitar. The word “guitar” usually doesn’t need a qualifier, but when it does, it is to denote what position it has relative to the standard guitar (which is the inferred definition of just “guitar” with a qualifier). I think “guitar” is more about technique and how the instrument is built, not what it is capable of producing. Regardless of type of bass, you really should know chord structures and at least how to craft a melodic line – even if you never intend to solo. Personally, I avoid soloing (though my present guitarist thinks I should solo on every song), but when I do, I prefer the comforts of a 4-string (may not be tuned EADG, though) because I have small hands. However, if I am the only accompaniment to a soloist, I really appreciate having a 6 to add back in that middle range. You play what you need to play on the instrument you feel it needs to be played upon. I agree that it depends upon the musical situation and this opens up another debate about playing too much versus playing in the pocket. An instrument is nothing more than a tool. The music is inside you. I have a seven string bass, a four string piccolo bass, regular four string basses, an acoustic/electric, and an upright. They are all tools I use for different jobs. And Damian is right on about bass players that move to six strings and beyond being more comftable with the feel and spacing of the bass. I’ve tried six string guitar over the years and it just feels so “alien” the way my fingers are supposed to be positioned—especially for chords. for me, it what “floats your boat”. I hear things in my head being played on a bass and that’s where I get my ideas from. Whether they are jazz chords or deep notes, that’s my zone. So…what ever moves you! I starting playing a 5 then 6’s mainly because I was working with a touring club band in the late 80’s and 90’s and tuning down to a low D was getting common. I hated losing scale patterns with the tuned down string. So I went ot a 5 and then a 6 to add the extra high string for soloing. Just a more versatile instrument. Of course I was broke back then so needed 1 bass that could do everything. So having 1 six string bass worked best, as I couldn’t afford a few 4’s or 5’s. I like playing chords on My 4-string, I just like the sound of it. My band only has one guitarist, so when he goes to play a solo, I have to play something of a rhythm guitar part so the whole song doesn’t drop out entirely. But honestly, I like not only the sound of it, but the power you can put into bass instruments, be it a tuba or a bass guitar. I play a 7-string bass and I get a lot of flack for it from the local guitar player community. I like to tell them that I prefer the feel and tone of a bass but with the full range options of a piano player. Why should I limit myself on an instrument that is constantly seeing amazing evolutions and mutations when they get to divulge in all sorts of versions and variations of their instrument? When they detune, switch to a baritone, use an octaver, etc I don’t bug them by asking “Why don’t you just play a bass?”. I do my job in the ensemble and I do my best to do it well and stay off of others toes and judging by the amount of calls I get for gigs I’d say I’m doing fairly well. We are all here to make music and art. Art is the expression of one’s self. I’m expressing myself. If you don’t like it don’t hire me. There are plenty of others that are more than happy to have me and my behemoth bass standing beside (not behind) them….now if I can get down off of this soapbox without twisting my ankle…. I did the whole expansion thing for a long time, came to the end of it and decided the my own personal rules were this: 4 strings, no effects, make them say wow. It’s been working for me. I play 5, 6 and 7 string basses, but I am most at home on my 6’s. I have one tuned B – C and the other tuned E – F, which has more or less put my 7 string into retirement. I play unaccompanied bass for a vocalist, playing mainly chords. I could play the whole gig on guitar, but she prefers the TONE of the bass. Wooloughby McGregor has it right for me too, it’s all about tone, I’ve tried to appease the purists by picking up 4 strings again, but after so long I always feel something is missing. I feel complete when I am playing 6 strings, no matter what the tuning or musical situation. I feel I can express myself more accurately over that range. That said, I’m completely at home on my upright as it is a completely different instrument. 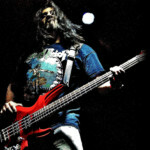 I’m a 6 stringer, and I have always played only bass guitars, mostly 4 and 5 string bass. a) the history: when Leo developed the first succesfull electric bass guitar, he was thinking about a new, sharp-intonate double-bass, so it must had 4 strings (the “Fender bass”); for many years nobody thought was even POSSIBLE to build a 6 string bass guitar, and, “why build a 6 string bass?!?!”. So the bass GUITAR borned 4 strings, non 6 stringed like every guitar (the number of strings in guitars family is usually equal or greater than 6). b) the language: electric bass is a guitar like a cello is a string, but the problem is related to “guitar”, that works both as name for single musical instrument name and for family of musical instruments. I avoided a six for a long time. I was not playing much and couldn’t justify the purchase. I played on a five for over 20 years and felt that a six would be too big for my hands. I found a very affordable six string a couple of years ago and bought it. I love the ease of playing with more range while shifting less. I am glad I made the switch and am also back to playing regularly so all is good. A 6-string can be useful in situations where you want to play in close counterpoint with other instruments, or to experiment with alternate tunings, but otherwise a 5-string will give you all the range you need. This argument is being complicated much more than it needs to be – I don’t play 6-strings because I think the sound of the C string is too thin. Adding another string nets you five extra notes – who cares? Are we going to argue about the number of frets, too? A Warwick Thumb NT 4-string tuned BEAD has one less note than the American Standard Jazz Bass V. We go on and on about our feelings and art and yadda yadda yadda. We need to stop fluffing our emotional feathers and just play the freakin’ bass. you could ask the same about a jazz guitarist who plays a single solo line why he doesn’t just play bass. As a six string Blues player, I sometimes get serious flack. I don’t worry about it. I just do my best to groove my fanny off and have fun. The griping usually stops by the second or third song. It may also be interesting to note that six string double basses existed as early as (I believe) the 16th century. I remember reading an article in Smithsonian Magazine years ago about the hand-made instrument tradition, stretching from classical days to modern times. They have a 6-string bass viol in their collection. B-C, just as a 6-string bass is strung. I can understand the point of few of someones personal tastes, but personal tastes should not lead to generalizations and stereotypes. I never played a guitar and still cant after about 2 years of playing the six string bass, and I never played a four string either my first instrument ever was a six string bass; but I rarely ever play chords unless they are musically appropriate(in a trio setting with just a drummer and a guitarist gives you many musical opportunities to play chords that playing bass in a big bad or ensemble wont really allow) no one can really argue if something is music or not. The six sting bass is just an instrument and its up to the musician not the instrument to make music; if I buy and make a bass of doom I wont wound like Jaco, I play a six string doesn’t mean I’m Anthony Jackson ive seen dozens of videos of bassits with a Gary Willis signature they don’t sound anything like him tonally or musically. Playing solo bass is very different form playing with a band and its ironic that only bass players really seem to crib; ive never seen a drummer or guitarist go “man I wish we had a real bass player” just because I have a high C, since no one seems to argue about the low B that seems to be the only point of dispute. Its one string you probably wont use it in a bass line but when its time to paint a picture its a fabulous tool. All these arguments new vs old strings, DI vs Amping 5 vs 6 string; lets just make music! I know this is old but I wanted to add my thoughts. I don’t think it really matters how many strings as long as you do the right “job” (what ever that may be). I say play music. I was reading the comments below and at a point I thought that this argument was no different than saying “Fender vs. Sadowsky”. It really doesn’t matter. If you bring a 6 string bass to a pop gig, I would say don’t be playing a bunch of chords all over the place. Make music and do what it calls for. I play a six string bass because I find it more comfortable and have to move around less when playing. 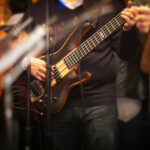 I play bass because theory and keyboard classes got me interested in the low end of things….and I already love guitar. SOOOoooooo, the choice for a six string bass was a very easy one for me to make. There is NO reason not to play ANY @#$%^ thing you want on ANY instrument! The Django’s, Jimi’s, Jaco’s and such DGAF about musical generalizations or self imposed limitations and no one reading this ever should either. I just read the article Pat……..He summed it up nicely!! I play a plethora of instruments, including lap steel. what do I call my 8 string lap steel? is it still a lap steel, or do we just use another term once the strings exceed a certain limit? there were 5 and 6 strings uprights centuries before the invention of the bass guitar. the 5th string on the bass guitar was largely a response to keyboard bass taking over in dance and pop music, to take the power back. without that extended range, keyboardists would have gotten those lines. I have 4, 5, and 6 string basses. there are funky things that only my 4-string music man will play– the low B just gets in the way at times. I have fretted and fretless basses because they do different things. I think the expression is “the right tool for the job.” people that say a 6-string bassist should just play guitar are likely just jealous that they can’t play a thing. No offense to anyone here, but the only thing that’s getting “tired” is caring about what kind of instrument anyone plays. Close your eyes and LISTEN! If you like it, cool. If you don’t? You don’t. I prefer 4 string meat and potatoes bass playing but to each his or her own. I love that people play all kinds of music on all kinds of instruments. Your answer actually provided me some insight into why some play six string bass. I only play 4 strings bc that’s what I’m comfortable on. I harbor no hate of five or six gunslingers. In fact, I’m a little envious of some of them with ease they can play. But I have small hands and I’m set in my ways and comfort zone. I’ve been playing chords and soloing on 4 strings since I started in the late 70s. My heroes are Jamerson, Rocco Prestia, Paul Jackson, Jaco and Jeff Berlin. More recently I’ve gotten more into Richard Bona, Pino Paladino and this kid Cody somebody (kind of blank on his last name) who plays with Jonathan Scales Quartet and plays with a pick. I may eventually pick up a five string if I can find one with a thin neck but nothing has convinced me to make a full change. I’m happy where I’m at. Spot on! 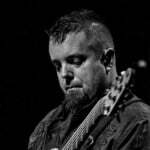 Thanks from this 6 string player who still gigs on 4, 5 and 7 as well as upright when needed. Thanks! I play 4, 5 and 6 string basses, but that doesn’t matter because I play the part, not the number of strings. I can’t count how many players are surprised to see the 6 come out, but hear a 4-string “part”. Play the song, not the instrument and you will never have a problem. Tons of players in gospel and r&b play 6’s but have a groove big enough to lose a Mack truck. Lots of 4 players can noodle with best. Bottom line? String count is a number. I also have very small hands, but play 5 and 6 strings only. In fact, I find Fender basses very cumbersome to play. For me, nothing beats my Tobias 6, 17.5 mm. Even if I’m not always playing chords or soloing, I like to have the choice of playing the low E on the fifth fret of the B string, and have first position exercises start a bit closer, without having to reach that far out. That said, it’s always a pleasure to slap a low B that’s clear and sits well in the live mix. 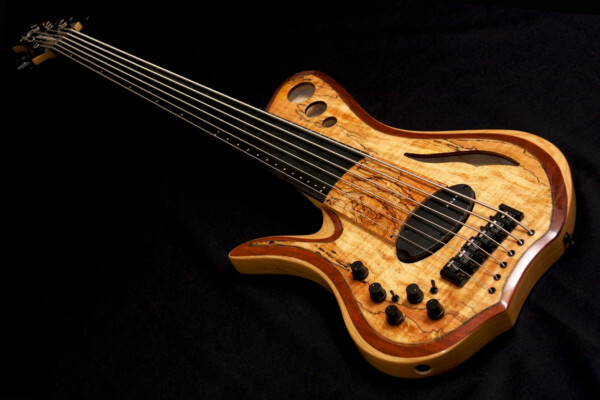 Btw, Fodera offers basses with 16.5 mm spacing at the bridge as well. The number of strings should not distract the bassist and the listener from enjoying the music. Play the way you want to on what you want to play. Be less concerned about what other people play and how they play and be more concerned about what you do. I’m sorry but a Bass should sound like a Bass not a guitar which is why I play only 4 string Bass. I like songs that do not have the D and G strings touched. Having played a 6 string bass for about 2 months now has led me to firmly believe that a 6 string bass carries with it the legacy of the (get this!) 6 string electric guitar, not the 4-stringed bass viol! 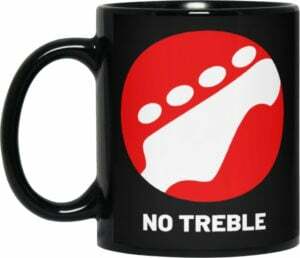 You all dislike guitarists whose chordal knowledge and application aren’t enough to give you much to work with harmonically or mainly seeing the guitar as a “melodic ” instrument, right? Funky/slap lines are available, and you can do this chordally, too… Country musicians call it chicken pickin’, but if you bother to play like a guitar ON YOUR GUITAR, that should make logical sense, right? Tubas play the bass part and i doubt that anyone reading this would gripe if a particular tuba had more valves than another, right? Hot button? Controversial? How can that be? A bass player’s job is to add the bass element to the song, whether it’s a four, five,or six string, keyboard, or single string washtub. Funny isn’t it, Dave. Many people feel like like other people need to be “wrong” in order for them to be “right”. I never quite understood that. The lines are much fuzzier than many make them out to be and, often, there need not be lines at all. A good answer… The point in my opinion is the feeling You transmitt with Your instrument. Regardless of the number of strings, The public is looking for the feeling and that can be done with 4 or even less strings or with 42 strings. I play what I have because it feels good, and I think everybody should do the same. 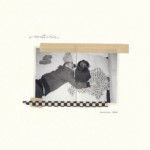 Play whatever “tonemonster” makes You feel good!!! IMO bass chords sound much different than guitar chords. Having a bassist that can throw some chord hits or flamenco picking in once in a while can add a lot to the songs that a guitar just can’t. Respecting the bass as an instrument with many capabilities is important, I think it has a lot more room in the mix than a lot of bands allow it to. Just play that bad boy. Can you convert a 6 string lead guitar into a 6 string bass guitar by simply changing the strings? No, bass strings on a guitar wouldn’t work. A 6-string bass usually sounds an octave or more lower than a guitar. This also answers the original question on this thread, why not just play a guitar. The lower pitch requires a longer scale neck, or the strings would be too loose to sound properly. Think of how loose a guitar string would be if tuned that low. Even a thicker bass string would be too loose. Guitar scale length is usually around 25 inches, with a full scale bass guitar at around 34 inches. Since the guitar neck is roughly 2/3 the length of a bass, it’s like putting a capo at the 5th fret on a bass, but tuning the string back down enough to sound the original open pitch – tuning the E string to a low B for example. It pretty much makes a splat sound. Now you could use an even thicker bass low B string for an E and get about the same tension as the bass, but it would sound muddy and probably cause problems with fret buzz because the thicker string moves further as it vibrates. I play a six string bass, tuned like an octave down guitar. My question is this: since I can play some guitar parts (especially on my bass vi) why do I need to play with a guitar player… especially one so egotistical to think they should decide how many strings I should have to work with. Even on my short scale, guitar-like Bass VI, most of the time, if I’m playing in a band you’d never even hear any difference from a 4-string. I pretty much only use the guitar style cording for solo work, but perhaps someday I’ll find a guitar player open-minded enough to collaborate with in that style. Meanwhile, if you complain about my 6 strings, you’re gonna offend me. Should I tell you you shouldn’t being playing those 11 guage strings?